Rachel Corrie was crushed to death in the southern area of the Gaza Strip on Mach 16, 2003. Rachel expired due to being demolished, and while putting herself in the course of the military bulldozer to shield their house and your family, the bulldozer was on route. 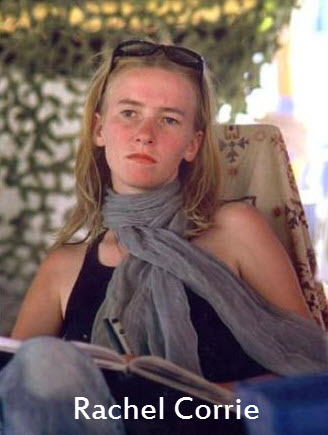 Rachel’s departure prompted an international investigation into the disputed situation in which she perished during the peak of the second intifada and created a world-wide outcry towards the Israeli military’s activities. The story of Rachel is just excellent; she is a great human being. The report on the autopsy findings that have been initially refused to people by Israel was later shown by the Human Rights Watch, who say a copy was supplied to them by Craig Corrie, as well as a translation provided by the U.S. Department of State. Rachel had come during part of her senior-year school homework that linked her hometown in a sister cities endeavor with Rafah. The Israeli military ran an investigation into Corrie’s departure, which reasoned the driver of the bulldozer cannot see Corrie due to limited visibility from his cab, and that her death was a collision. Many are outraged at the amount of direct neglect shown by the motorist and the impunity the Israeli military receives under Israeli law and have criticized the investigation as fake. Corrie’s family was involved in legal struggles that were continuing through the Israeli supreme court to achieve justice. Rachel’s departure is a timely and incredibly depressed reminder of the callous actions of the resistance and neglect the Israeli military receives under Israeli law. Nevertheless, Corrie’s departure is no manner in vein nor is it forgotten. Nature she exhibited as well as her will to occupy the fight against injustice to those whom it’s inflicted upon by the Zionist regime in her activities will forever be remembered. The fight for justice shown by Rachel and the recollection is not going to be forgotten and will remain recalled by those fighting the war there’s peace and of injustice and human rights abuses that plague the Palestinian people until the occupation is non-existent.